Get access to your data anywhere, anytime. Our web portal gives you complete access to your, Projects, Devices and Data, and allows you to manage it from one central web portal. You can upload new forms and deploy them to devices. 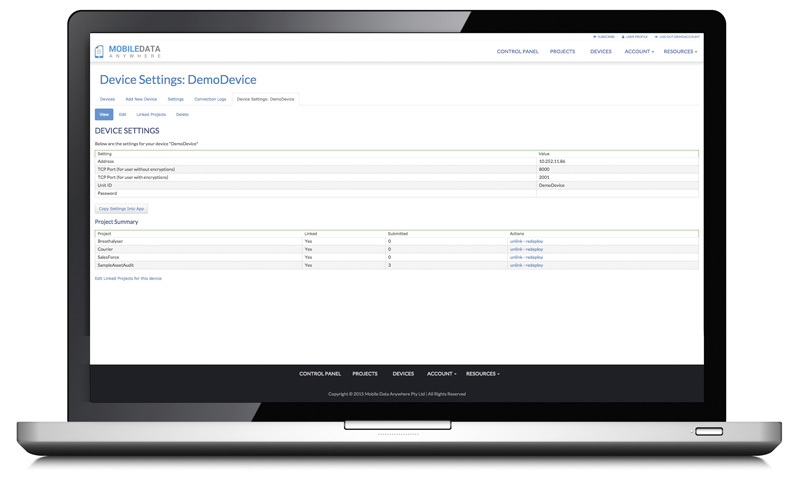 You can see what devices are connected to the portal, and manage what projects they receive. You can see what data has been collected, view, dispatch, edit, export, report and delete data collected from devices. Keep an eye on critical information related to your connected devices and data uploaded, such as number of devices connected, data received, projects uploaded. 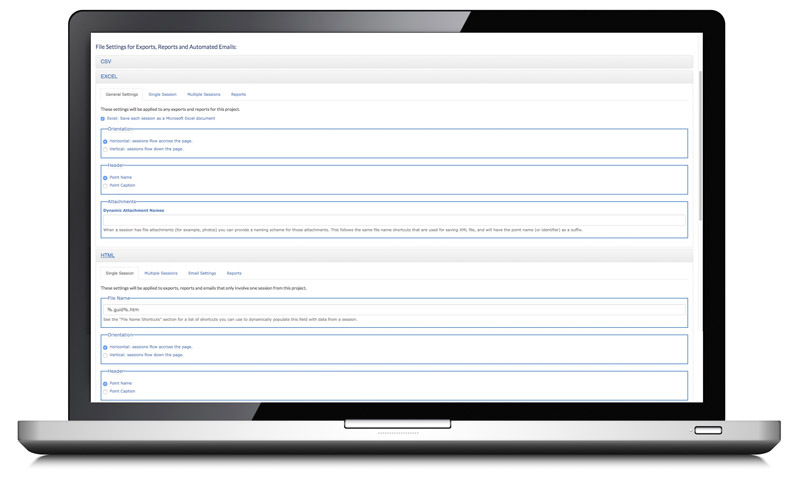 Manage the projects that have been uploaded to the portal by placing them into Folders. Monitor how much data has been uploaded for each project. Manage the devices that have access to your account. Manage which devices get access to which Projects, by linking each Project to a Device. When the device connects for the first time they will automatically get that Project sent to their device. Track which devices are connecting to the Portal and uploading data and when. Manage and view your data that is received from devices. Sort and filter sessions. View session data. View sessions on a Map. Edit sessions. 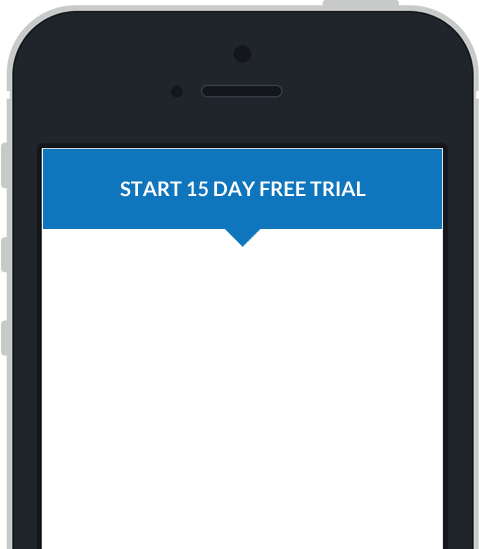 Have sessions automatically emailed to you as a PDF when they are received. Export any or all of your sessions to Excel, CSV, HTML, PDF, KML and XML. Create customised versions of the PDF and HTML reports by creating a cutom HTML template and uploading it to the portal. 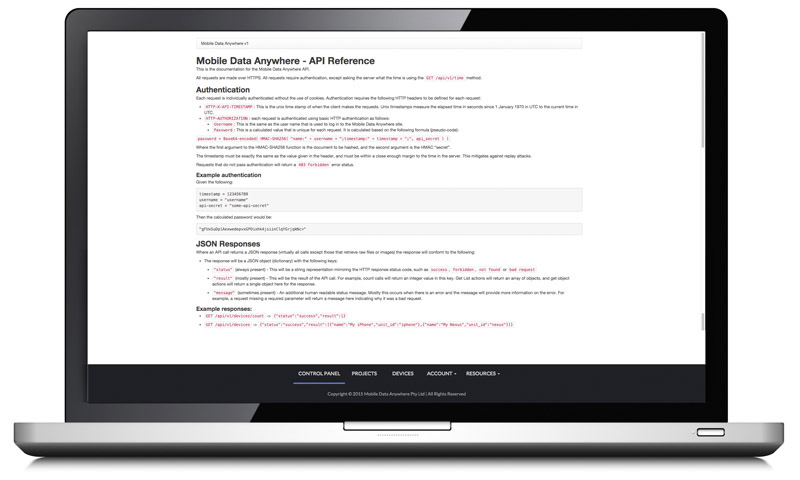 Create a custom integration between your application and the Mobile Data Anywhere web portal by using our web API. We provide support for C#, Ruby, PHP and VBA clients libraries.